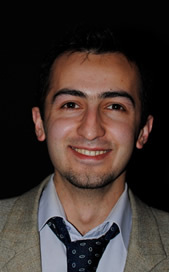 Mehdi Salmani Jelodar is a 5th year PhD student in electrical engineering at Purdue University. For his doctoral studies in the field of computational nanotechnology, Mehdi conducts research on ultra-scaled transistors to predict and optimize the effects of novel materials and geometries for future technology. Mehdi is an active member of ITRS (Process Integration, Devices and Structures group) since 2012 and he delivered predictions for SOI and multi-gate logic devices for 2013-2028 ITRS Roadmap. Before coming to Purdue, Mehdi obtained his Masters of Science in hardware engineering from the University of Tehran. He then co-founded and led Danesh Gostaran Sepantan, a startup technology company based in Iran, as technical manager for five years. Mehdi has worked as a Device Engineer Intern at GLOBALFOUNDRIES in Silicon Valley during summer 2013. Modeling InAs based HEMT device and contact [C332][C329] . Modeling MoS2 and Graphene based devices [C330]. Since May 2012, Mehdi is working on ITRS PIDS table for next 15 years roadmap [C395]. For this work he has received Best in Session Awards at TECHCON 2013 Conference. Fitting process of tight binding parameters mapping from ab-initio calculation. Ab-inito and tight binding calculation for electronic structure of Molybdenum Disulfide (MoS2) [C330]. Using EVFF for computing phonon spectrum and thermal properties of III-V alloy nanowires [J172 ]. He is working on expanding the application of the model for atomistic computation of III-V alloys. Improvement and integration of PGAPack to NEMO5 as a large scale optimization toolbox. Intelligent IP core design, including (Parallel) Genetic Algorithm and Fuzzy system. Developing a commercial Optical Character Recognition (OCR) system.